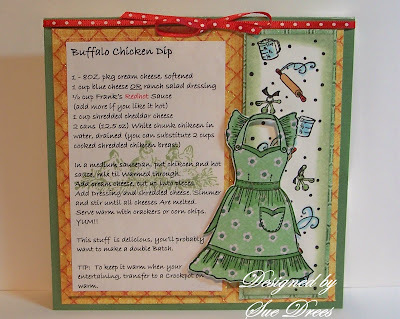 Sue's Rubber Stamping Adventures: BSS-Monday Challenge - A Card with a favorite recipe. BSS-Monday Challenge - A Card with a favorite recipe. Good Monday Morning, time for another Buffalo Stamps and Stuff Monday Challenge. 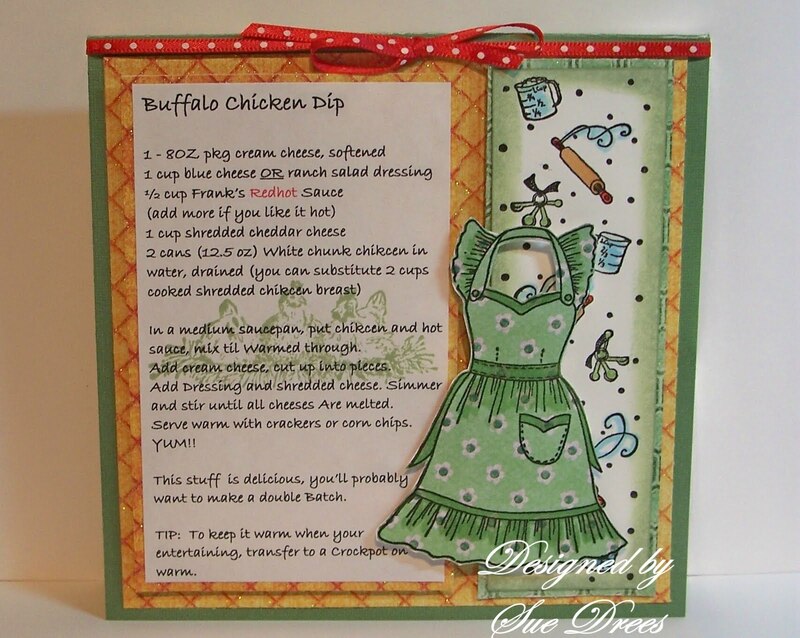 Today's challenge is to make a card or project using a favorite recipe. I have used a recipe that I made for the first time last weekend to take to an outdoor birthday party. I made a triple batch and at the end of the day, not a drop was left! My grandchildren love this and were disappointed that there were no leftovers. Here in Buffalo, we are known for our hot chicken wings and this dip tastes like them. The Apron image is from Lockhart Stamp Company and I have paper pieced it. The background cooking utensil stamp is by Great Impressions. The inside sentiment which I forgot to photograph says "A Kitchen is a gathering place where warm memories are made with family and friends". Also by Great Impressions. Papers are by My Mind's Eye, Home. Hope you have a chance to make a card using a favorite recipe. 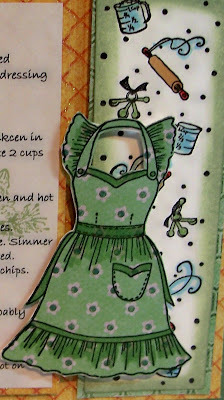 Love the card and the apron is just so cute. Hi, Sue---I visit here so often, I thought for sure I was a follower-I have remedied that! Hmmm...that sounds terrible as I read it back-so, I was not a follower, though I thought I was, and now, I AM a follower! I love your work! 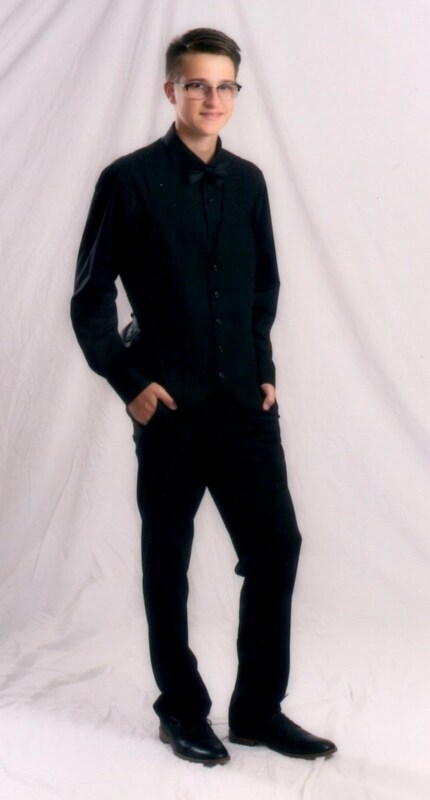 Sue this is awesome! I am always looking for new recipes and LOVE to make recipe cards for them! I just bought this stamp...now I can hardly wait to use it!! !